1 broadside: paper, b & w, 28 cm x 21 cm. Summary: An announcement about the Peace Corps and how one can share in the building of Africa. 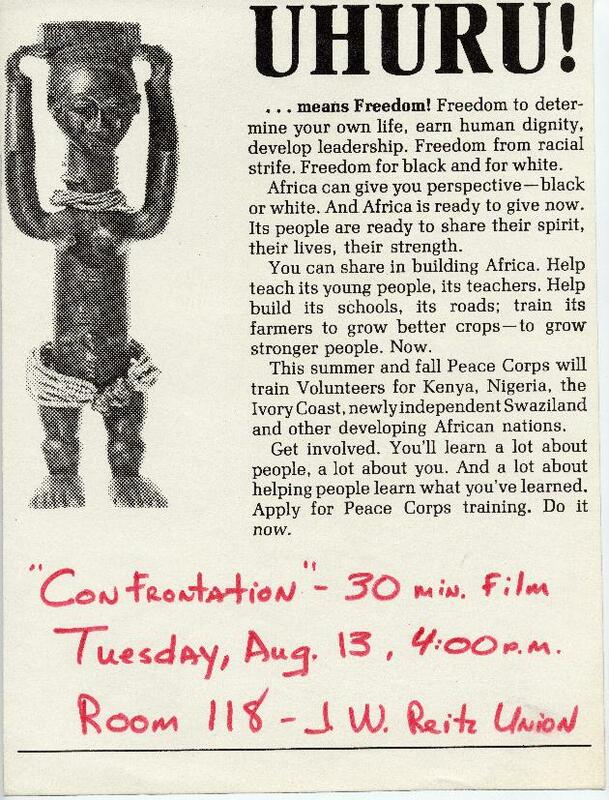 A film entitled "Confrontation" was to be shown on Tuesday, August 13, at 4:00 p.m. in Room 118 of the J. W. Reitz Union. On the left side of the poster is a picture of an African sculpture.